One of the poems of mine included in Census 3 the Seven Towers Anthology is called Invoice. Some time ago a local historian in Sligo gave me a large account book from Coleman's business premises in Coolaney, Co Sligo since that was my native place. The shop was a typical Irish country store selling almost everything. The account book covered the period from the early 1900s until the business collapsed mid-century. I found the two entries above fascinating (click on the images to enlarge them). They detail the goods bought for a wake - 4 lbs 2 ozs tobacco, 18 large loaves of bread! Though notice that 2 lbs 5 ozs of the tobacco was returned after the wake. The date of the entries was 24 and 26 June 1923. Interesting to note that the son of the shop owner, Michael Coleman, had been very active in the war of independence and had taken the anti-Treaty side in the civil war. By June 1923 with the end of the civil war he was either interned or on the run. I used the entries as a found poem as part of a sequence on events in Co. Sligo at that time and changed the date to suit my story. Here is part of it. If you want to read the lot buy the anthology. Six pounds of tobacco: Three pounds one shilling. Two gross clay pipes: Seven and ninepence. Half dozen boxes of matches: Sixpence. One gallon of oil: two and tenpence. Eight ounces of snuff: Six and eightpence. One bottle of whiskey: Sixteen shillings. One dozen long wax candles: One and six. Six yards of black ribbon: Two shillings. One pair of black gloves: Two and six. A dozen handkerchiefs: Six shillings. Scarf and hatband for hearse: Five and six. One brown habit: One pound five shillings. One elm coffin fully mounted: Six pounds ten shillings. Total: Seventeen pounds two shillings and ninepence. I understand there is a TV programme which is quite popular at the moment called Downton Abbey. Have you heard of it? Even seen it? 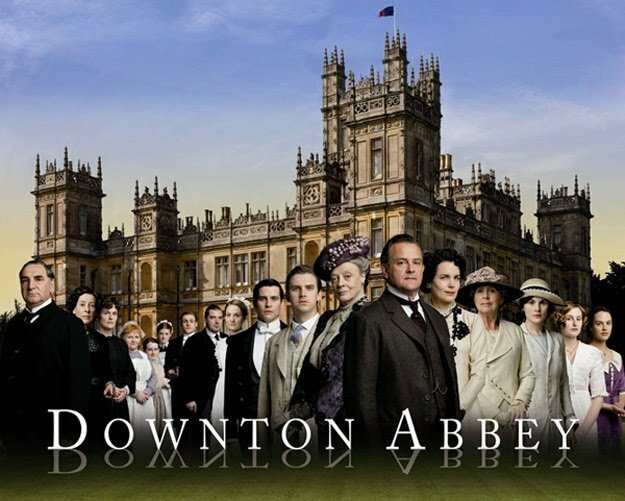 Did you spot any of these verbal anachronisms? sing hymns, listen to the Pope. During editing Noel King said, Would they have called it a radio? Immediately I changed it to wireless. One Week Left to Enter our Competitions. There is only one week left to enter our competitions, so if you have not done so, you need to get organised very soon! There is €30,000 in prize money to be won. There are plenty of competitions to choose from. See Below. Closing date for receipt of entries is next Friday 2nd March 2012. Plenty there to tempt everyone but entry fees are relatively high. For the single poem competition it's 10 euro per poem with no reduction for quantity, no four for the price of three as often happens in other competitions. For the Cardiff International Poetry Competition the entry fee is 8 pounds sterling but the first prize is 5,000 pounds sterling. The prizes vary considerably for the Listowel competitions. The prize for the single poem competition is 700 euro, for the short story it's 2,000 euro, and for the Tell your Story competition it's 1,000 euro. Entry fee the same, 10 euro, for those. No online entry facilities either. Don't tell them I said anything! My entries have been posted. A very well attended, enjoyable launch in the Irish Writers' Centre last evening. Thanks to Sarah and Oran of Seven Towers and to the Writers' Centre. The anthology is an impressive volume, with over 90 writers represented in the 200 pages. The usual great variety of material, poetry, story, drama, memoir from writers in Ireland, UK, Europe and the USA. A great reading aloud piece. Many familiar names in the volume, including some published in Boyne Berries. Seamus Cashman, Patrick Chapman, Ines Dillon, Edward O'Dwyer etc etc. Doghouse was well represented - the editor, Noel King, has two poems and other poets from the same stable (kennel maybe!) included are Greagóir Ó Dúill, Alan Garvey, Catherine Ann Cullen (Reading, above), Liam Aungier, John W. Sexton, Tommy Frank O'Connor and Monica Corish. Three Boyne Writers are included, Orla Fay, Evan Costigan and myself. I was delighted to have two poems included, my found poem Invoice 15th August 1922 and What I'll Need for the Lecture. Attendees were invited to put their names in a box from which a number were drawn to read. Both myself and Evan were drawn and I read my What I'll Need for the Lecture poem. It's a nice one to read because it demands a lecture style. One of those present said to me afterwards You just have been a teacher. I took that as a compliment for the way I read! That same poem has been edited quite a bit for the collection and as I read it I began to have second thoughts about the changes. I'll see! You can buy Census 3 The Third Seven Towers Anthology on the website. At 12 euro it's great value as a snapshot of the poetry and prose being written and performed at the moment. I hope to attend the launch of Census 3, The Third Seven Towers Anthology at the Irish Writers Centre, 19 Parnell Square on this Wednesday 22 February at 7 o’clock. I'm delighted to be included. I submitted three poems and I'm not sure which one has been included. Orla Fay and Evan Costigan of Boyne Writers are also included and many other well known Irish writers are among the just under a hundred writers and artists included. 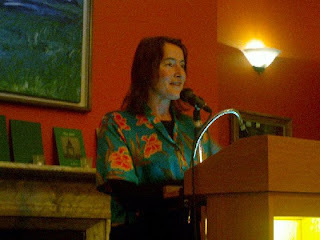 International writers included New Zealand poet Ross Hattaway, New York based Oklahoma poet Quincy Lehr and San Franciscan Lora Lee Templeton. 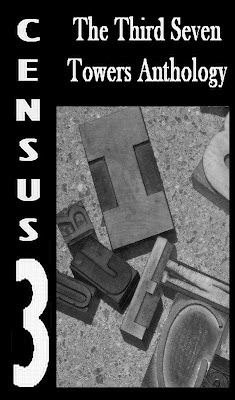 You can buy Census 3 at www.seventowers.ie. If you buy it online before the launch date you get the e-book free. Seven Towers is a not for profit venture, staffed entirely by volunteers. All monies goes back to publish more great books. It's nearly ready! My first poetry collection entitled Asking for Directions, after one of the poems, is in the final stages of editing and proof reading (should that be proofreading or even proof-reading?). I found the process with Doghouse Books editor Noel King fascinating. Many fellow poets said things like I hope he didn't make you change your poems. Well, we sat down together and spent quite a lot of time going over the manuscript I had submitted. Lines, stanzas and even whole poems were queried and questioned. Some lines, some stanzas and some poems were jettisoned with the result that the poems were improved and the whole collection made more coherent. The punctuation was improved considerably, many commas were inserted. A cover image is not yet selected though a short list has been established and this should be finalised in the next week or so. Then to choose a date for a launch in Trim, sometime in May or June. Among the other poets being published this year by Doghouse are Barbara Smith and James Lawless. I'm in good company. Labels: Asking for directions: Doghouse Books; Barbara Smith; James Lawless. Didn't go out on Valentine's Night? Stayed inside writing tender/bitter love poems? Here's a chance to enjoy yourself! A wonderful night of poetry and harp in the beautiful setting of Ballymaloe. Acclaimed poets Thomas McCarthy and Gerard Smyth will read from their work. 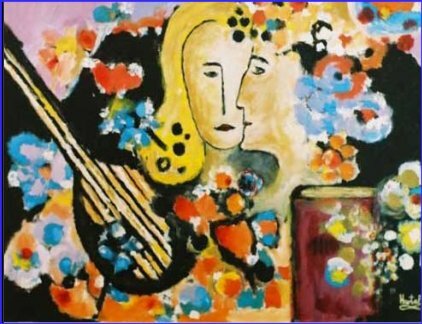 Throughout the evening classical harpist Sarah Noonan will perform pieces by J.S. Bach, Grandjany, Weiss,Hasselmans, Tournier, Dussek, O' Carolan and Salzedo. Tickets €15. Concession €10. Ballymaloe House are offering an excellent package deal of €60 for early 6pm dinner plus event or €140 for dinner, B&B and entrance to the event! Ballymaloe pride themselves on offering a warm welcome, tastefully decorated bedrooms and award-winning cuisine which celebrates the best of local, seasonal produce. The first programme of Magamedia's new season of Éalú starts on this Thursday, 16 February at 10.30 pm. This programme, A Pal in Prison, features Limerick man Sean Bourke who sprang Britain's most wanted KGB spy from Wormwood scrubs in 1966. George Blake was serving the longest sentence ever handed down by a British court when he befriended Bourke in prison and they hatched a plan that left intelligence around the world baffled. Programmes 2 and 3 tell the stories of the escapes of Paddy Flemming and Francie McGuigan from Mountjoy and from Long Kesh respectively. There is an Éalú facebook page. I think programme 4 is the one that deals with Frank Carty's escape from Sligo Jail. I play the part of a history expert in that one. Quite well actually! TG4 are using the Kilgannon photograph of Sligo County Council 1920, above with the empty chair representing the imprisoned Carty, on the website at the moment. The photo will also appear in my new book. For the day that's in it. Last Saturday's Guardian had a feature entitled Love poems: writers choose their favourites for Valentine's Day - Is there a perfect love poem? Authors and poets choose those verses that have special meaning for them. It included the full text of all the poems. An interesting selection with fewer moderns than you might expect. The absence of Yeats is unexpected and lamentable. Seamus Heaney chooses "Whoso List to Hunt" by Sir Thomas Wyatt. Wyatt gets two poems in the piece but John Donne has three. Mourid Barghouti, the Palestinian poet and writer, chooses a poem by recently deceased Wisława Szymborska Thank-You Note" where she expresses gratitude for "those I don't love" because "from a rendezvous to a letter / is just a few days or weeks, / not an eternity." I can't wait to read this book! From the Four Courts Press website. 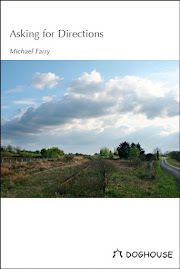 "Using a wide array of sources and interviews, Michael Farry has produced a balanced, comprehensive and absorbing study of county Sligo from 1912 when the Irish Party controlled all political affairs to 1922–3 when the county saw considerable action during the civil war. This wide-ranging study offers fascinating new insights into the Irish Revolution and details how the county moved from being one of the most loyal to the Irish Party to one of the best-organised Sinn Féin counties. 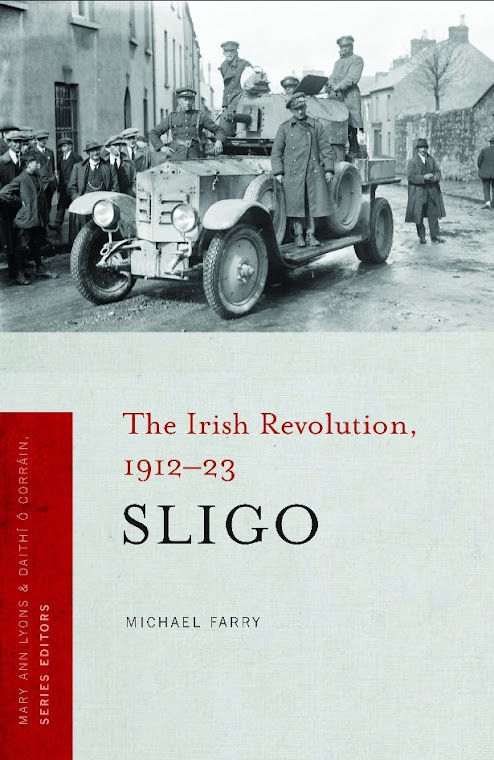 Farry is especially good on how both organised unionism and the strong labour movement in Sligo reacted to the rise of Sinn Féin, its election victory in 1918 and the subsequent Truce, Treaty and civil war. His use of the recently released BMH accounts as well as British military sources results in a richly detailed examination of the IRA campaign and the British reaction. It examines the superior attitude of the IRA towards ‘mere politicians’ during the Truce period and explains why Sligo saw so much conflict during the civil war." Final editing still to be done though, photographs selected, maps ready, cover not yet finalised. Almost there!! I'm grateful to Noel French of Meath Heritage Centre for pointing out a mention of Sligo in an upcoming book on Bram Stoker, the Dublin-born creator of Dracula. A long-lost notebook belonging to Stoker, written between 1871 and 1881, was recently discovered in the attic of one of his great grandsons and is being published to coincide with the Centenary of Stoker’s death. This personal Notebook is said to show Stoker’s private thoughts and his developing style that foreshadows the journalistic technique of Dracula. Natives of Coolaney, like myself, never thought much of Collooney, five miles away and a constant source of postal confusion. 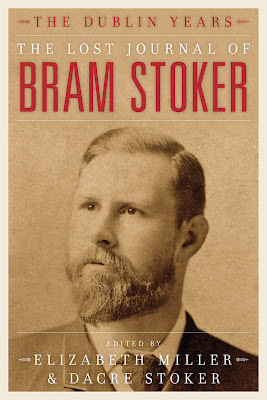 The Lost Journal of Bram Stoker: The Dublin Years is written by Dacre Stoker and Prof Elizabeth Miller and will be published by Robson Press on 8 March, 2012, priced at STG£18.99. Lunchtime Readings will run on Fridays at 1pm throughout February and March in the Irish Writers' Centre starting this Friday. These readings, which are free, are organised in association with Poetry Ireland and will alternate every week between prose and poetry, offering audiences the chance to experience a wide-range of literary talent. 17 February, Poetry: Paul Grattan. 24 February, Prose: Shane Connaughton. 2 March, Poetry: Geraldine Mitchell. 9 March, Prose: Anne Sharpe. 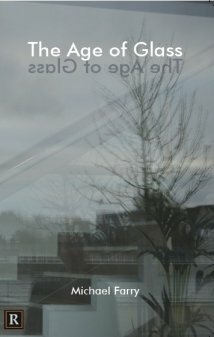 16 March, Poetry: Paul Perry. 23 March, Prose: Mary Costello. And on Friday, 10 February, the 2012 Over The Edge Poetry Book Showcase featuring Moya Cannon, Stephen Murray, Ndrek Gjini, Lorna Shaughnessy, Jack McCann, Mae Leonard, Sarah Griffin, Pauline Fayne, Pete Mullineaux, Susan Lindsay, Kate Dempsey, Brian Slattery, Karen O'Connor & Sean Kavanagh will take place at The Kitchen @ The Museum, Spanish Arch, Galway. Noel Monahan at Backstage: A Celebration of the Award Winning Poet & Playwright will be held at the Backstage Theatre, Longford in association with Longford Arts Office on Friday, 10 February 8:30pm. Free admission but booking essential. To celebrate the work of this award winning poet and playwright, a number of writers from the various writers groups in County Longford will read from Noel’s five books of poetry. The evening will be interspersed with music and song. Noel has been involved at various times with the Cavan/Meath LitLab group and has facilitated workshops for the group. Noel, with Heather Brett, runs Windows Publications which has published many up and coming writers including LitLab members and especially encourages writing in schools. Noel, originally from Granard, has published five collections of poetry. His most recent publication was Curve of The Moon published by Salmon poetry in 2011. 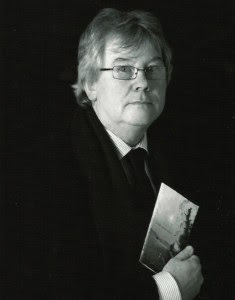 His literary awards include among others, The SeaCat National Award organised by Poetry Ireland. In 2001 he won The PJ O’Connor RTE Radio Drama Award for his play Broken Cups and in 2002 he was awarded The A.S.T.I. Achievements Award for his contribution to literature at home and abroad. His work has been translated into Italian, French, Romanian and Russian. His most recent plays include: The Children of Lir performed by Livin’ Dred Theatre which appeared at Backstage. 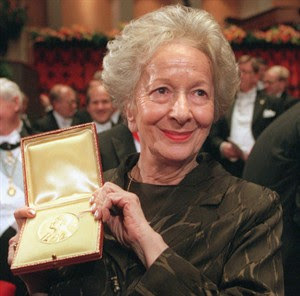 Polish poet and Nobel Laureate Wisława Szymborska dies on Wednesday 1 February in Krakow, aged 88. Szymborska was described by Czesław Miłosz as "a poet of consciousness... she speaks to us, living at the same time, as one of us, reserving her private matters for herself." I mentioned her in this blog entry from 2010. And she will also get a mention in my poetry collection from Doghouse in a poem published in THE SHOp magazine in Autumn/Winter 2010 called My Interest in Polish Poetry has been Aroused. I love this early poem of hers, that line, The hour of do-we-vanish-too-without-a-trace is brilliant in its simplicity. The hour swept clean for rooster's crowing. Wislawa Szymborska. Translated by Stanislaw Baranczak and Clare Cavanagh. More of her poetry here. The Guardian obituary here. Labels: Wisława Szymborska: The Shop: Four a.m. Seven Towers, Dublin have just announced the publication of Census 3, The Third Seven Towers Anthology. It will be launched by its writers at the Irish Writers Centre, 19 Parnell Square, on Wednesday 22nd February at 7 pm. I'm delighted that one of my poems is included. Two other Boyne Writers, Orla Fay and Evan Costigan, are also included. Not sure which of the three I submitted has been included - it has been quite a while. This anthology contains over 90 authors from every part of the globe and every possible age and in every imaginable genre. All of the included authors have performed at a Seven Towers Event and there is excellent writing in every imaginable genre - poetry, prose, short stories, experimental fiction, sci-fi, fantasy, horror, and so many more goodies. The anthology can be ordered online at the special price of 12 Euros (no postage!). Others included are Noel Duffy, Noel King, Pauline Fayne, Alan Garvey, Ross Hattaway, Oran Ryan, Roger Hudson, Patrick Joyce, Eileen Keane, Quincy R. Lehr, Eamonn P Lynskey, Tommy F O'Connor and Greagoir O'Duill. He mentioned what was the year’s highlight for the group, the publication of the tenth issue of Boyne Berries and described it as “a fine booklet that we can all be very proud of”. He said that though it was a costly exercise it was well worth while. Paddy was delighted that the group’s core activity, writing, was going well. Members produced some good stuff during the year. Many of them appeared in various publications, were successful in competitions, had published books and Paddy himself had three of his plays performed. He posed the question: Are we better writers as a result of being members of the Boyne Writers Group? Answering it for himself he said “I personally feel that I have learned much about writing as a direct result of my involvement with the group. Not necessarily from the entire process of criticism, although this does help of course, but from the process of writing. If I wasn’t in a writers’ group I certainly wouldn’t be writing as much. Also from the process of listening – listening to what others are writing”. Paddy did go on to discuss some of the group’s non-core activities which, he said, had not being going so well. Our Boyne Readings, for example were not resumed after last summer’s break mainly through lack of enthusiasm because of small attendances. He discussed what we expect from these readings and how we might attract larger audiences. The Boyne Writers’ international satirical writing competition which we organise for the Trim Swift Festival has not been attracting large entries and in 2011 had a record low number of entries: “Is there no interest at all in this ancient form of commentary: satire? One would have thought that in these turbulent times satire would come into its own”. Again the group need to consider this. In conclusion Paddy said how much he is looking forward to the coming year in the Boyne Writers and he hoped that this will be the year it all happens for each and every member. This is a nice touch - an email to all those commended in a poetry competition which includes details from the judge and friendly encouragement for the future. Well done Munster Literature Centre! In his blog the competition judge says 'In the end, the top thirteen poems distinguished themselves in different ways. Of the 1700 poems the winning poem really stood out for me, while there was some difficulty in deciding which poems to include in the “highly commended' list and which bubbled just below the surface. I decided to publish a list of 70 commended poems, wishing to reassure many entrants of their achievement ... "
Although we can only publish the top 13 poems, we would like to congratulate you on the commendation and hope it serves to encourage you with your writing. It is certainly an achievement for your work to be distinguished out of 1700 poems. The results from two competitions just announced. No joy in either I'm afraid. The Plough Prize results are here, with the long and short lists. No addresses or country credit given so I don't know how many Irish featured but two names I recognise, Peter Goulding and Richard Halperin, who both made the long list for the short poem competition. Well done. However in the Cafe Writers Competition Dublin resident, David Mohan, took first prize of £1000 for his poem Wildfire. Out of 2146 poems entered! Well done David. Don't know if the results are on the website but all entrants got an email with the results. Nice touch! Winning and commended titles here were generally of the quirky, interesting type rather than the single word type. Here's the full list of titles: Wildfire, The Burnt Child, Surgery Dog, Hunting Elmer Fudd, When colour Left the World, Siren, Mémorial Des Deportations, The Day God was Angry, Fish Dancing in Desert, Piss Pot. Labels: Cafe Writers Competition; Plough Poetry Comopetition: David Mohan.